The software technical support center is located at SuperMap headquarters. It provides the technical support services to our worldwide distributors, partners, and customers. Additionally, customers can obtain the general technical support services from our local distributors worldwide also. 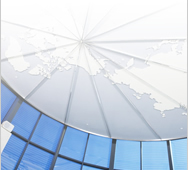 -Questions related to SuperMap GIS products' installation, configuration, and deployment. -Questions regarding using SuperMap Desktop GIS. -Questions about developing customer's application with SuperMap GIS platforms, including SuperMap Objects, SuperMap IS .NET/Java, eSuperMap, and etc. In some cases, we provide solution source code to customers so that they can resolve their problems quickly. -Workaround solution for known bugs. Off-site Support: Customers can obtain the Off-site Support through phone call, Email, Instant Messaging, or BBS. There is no fees for our contracted or potential partners/customers. Additionally, the contracted partners/customers will be severed at higher priority. Once receiving support request, our professional technical support engineers will response or solve problems as soon as possible in case of high volumes requests. 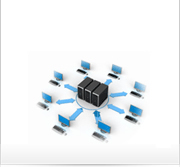 On-site Support: We provide on-site support service based on customers' requirement. The fees will not be charged if the partners or customers have subscribed the annual support services. The customers who have not purchased the annual support services, can contact with our sales representatives to get the quote by sending us the detailed support description. Click here to find local SuperMap distributors or partners.